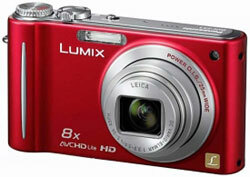 Photography Blog has tested the Panasonic Lumix DMC-ZX3 digital camera (also known as Panasonic Lumix DMC-ZR3). This compact from Panasonic is the successor to the successful ZX1 and Panasonic has done some improvements especially with the video mode. Photography Blog ends up giving the Panasonic Lumix DMC-ZX3 a “Highly Recommended” rating with an overall score of 4.5 out of 5 stars. The Panasonic camera get a top score on ease of use and very high scores on design, features and image quality while scoring a little lower on value. There is not many improvements in the ZX3 compared to the ZX1 (except for better video recording), but it is still an excellent compact camera that many might consider when purchasing a camera. Read the full review of the Panasonic Lumix DMC-ZX3 digital camera here.